Cell phones only came into existence less than 20 years ago. 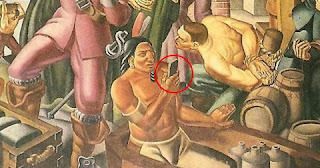 So it's kind of shocking to see an ancient man holding a mobile phone in a painting depicting 400 years ago! 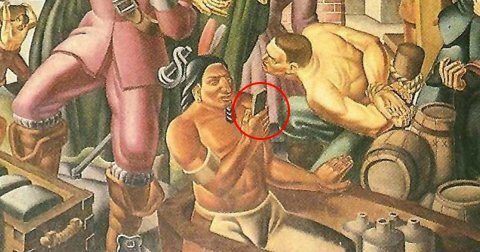 But you have to admit, even on close inspection, that in this mural from 1937 it really looks like a member of a tribe was checking his phone messages, or even taking a selfie. This has led people to believe they had spotted a time traveler using a phone. The confusing painting showed English colonist William Pynchon, founder of Springfield, Massachusetts, USA, interacting with native Americans. The video below shows woman from decades ago using what appears to be a smartphone. But if you look closer one of the tribesmen facing away from English, looked like he was using a smartphone. This is totally impossible of course because it was 400 years ago, but it still had some people confused about what he was really doing. The simplest and yet craziest conclusion is that the man was doing some activities on his cellphone. ‘Well I’m convinced…,’ wrote one Twitter user. 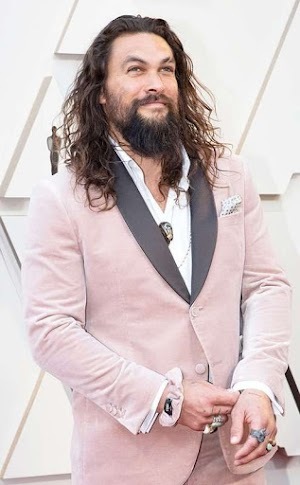 But most experts seem to think that the native American was not holding a phone, butwas simply fascinated by his own reflection in a hand held mirror presented to him as a gift by the settlers.